This small project offers just a few opportunities for a new home in the sought-after Tuscaloosa-Lakewood Neighborhood. Homes for this community have been chosen from some of our most-popular mid-size plans in the Emorywood home collection and assembled to create a thoughtful addition to the overall community. 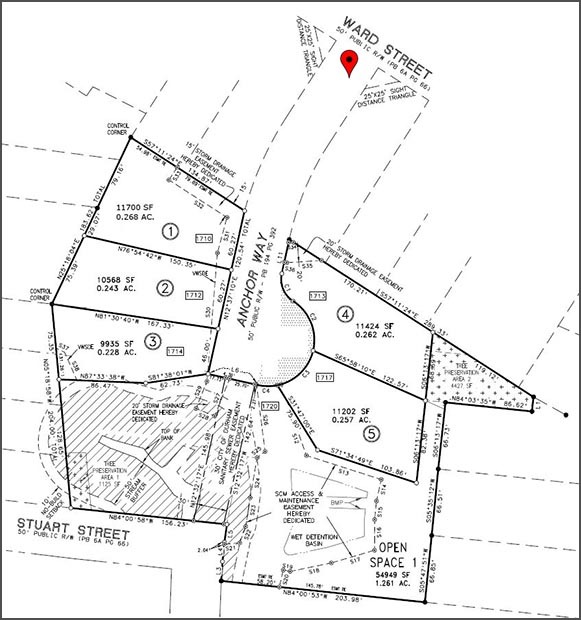 On a new street located off Ward Street between Chester Springs Rd and Huron St, these five infill lots offer an exciting chance to live in this popular community. The Thompson II keeps the same great layout as the original Thompson, but is about 400 square feet larger! The extra square footage really is the icing on the cake for this well known floorplan, making it a popular seller in Emorywood and a great fit Lakewood. This home has a formal dining room as well large front porch perfect for summer sitting. This Stratford II is also an enlarged version of one of our original Lakewood Bungalow homes. This incredibly popular plan gets even better with an extra 500 square feet. We kept the private upstairs master suite, but we gained some extra elbow room throughout the first floor. While this will be the first Stratford II ever built, there is no doubt this new and improved design is sure to please! This Franklin II will be built the first one ever built in the Farmhouse style! The style of the finishes will change to reflect the classic farmhouse charm, but you will have the same great versatile floor plan as always with four bedrooms and a great master suite! The Omstead II will also be built in the Farmhouse style. One of our most popular floorplans from Emorywood, this house really has a lot to offer: an enormous master suite with sitting area, a large bonus room, a mudroom with utility sink, and lots of storage space…not to mention a screened in back porch! The Potter is part of our charming European Cottage series. In addition to the charming finishes including the painted brick detail on the exterior, the groin vault ceiling in the foyer and the iron balusters on the staircase, this floorplan has a great layout including an open living area, a first floor master, a home office space and a sunroom! There will be a Home Owner's Association which will be responsible for the storm water pond and other open space owned by the community. This community, like most of our communities, will be a collection of semi-custom homes and will be built following the terms of our B. Wallace Process agreement. Please read about semi-custom homes and also read and review the B. Wallace Process agreement for more information. Please be aware that for this community, special requests will be limited to interior customization, selection customization and aesthetic customization only. NO STRUCTURAL REQUESTS will be permitted in this project, such as changes to house footprint, roof line, or foundation.